The National Premier Leagues NSW Men’s competition is alive and kicking. A heaving Leichhardt Oval grand stand packed to the rafters with passionate fans, a match-up of two historic clubs boasting stellar line-ups and two of the best imports in the NPL and a thrilling clash which was well worth the price of admission, the 2018 National Premier Leagues NSW grand final was one for the ages. Sydney Olympic completed a historic double and took home the championship trophy with a 3-1 win against APIA Leichhardt Tigers after an exciting ninety-minute contest which had supporters enthralled from the opening whistle. What made it more unique was the fact that it was against two former NSL giants. A packed stadium as thousands of fans filled the stands for the match with the game even delayed 15 minutes as a late surge of supporters rolled through the gates ahead of kick-off such was the hype behind this match an indication that our NPL is burning with ambition and interest. An NPL NSW Men’s ticket was the talk of the town leading up to the big day on Sunday and this was highly evident on what was a beautiful Spring day in Sydney’s Inner West. The bellowing chants from one of Sydney Olympic’s crowd favourites Andrea ‘The Legend’, during and after the match as well as the dressing sheds also brought back the glory years of the former NSL giants. Spanish import Alex Sanchez stole the show for Olympic with a stunning performance which featured two goals and an assist to win the Robbie Slater Medal for grand final man of the match – a player that would not look out of place in any A-League outfit that’s for sure. Veteran Olympic defender Will Angel revealed it was the passionate support from the grandstand which helped get his team over the line. “Seeing all that blue and white in the stands and hearing the chants for the full 90 minutes is something I just can’t get out of my head,” he said. “The extra support took us to the next level. The fans were truly our twelfth man on Sunday. “I saw familiar faces in the stands who have been with Olympic for decades. Angels’ sentiments were echoed by Sydney Olympic CEO John Boulos who said the impressive grand final day crowd was a true reflection of the NPL NSW’s growth this season.  “The NPL is an exciting league and the electric atmosphere at Leichhardt Oval really added to the quality football which was on show. “It was a great season all around for the league and it is catching the attention of the fans who are coming to games in increased numbers. While the result on grand final day did not go APIA’s way, the impressive turnout from their supporters did not go unnoticed. Speaking to Football NSW after the match on Sunday, Tigers coach Billy McColl thanked the fans who made the effort to support his side on grand final day as well as throughout the season. “Our fans have cheered us on through some big moments this season and they were there again today in full voice. “It was an amazing day for the NPL NSW Men’s competition as it showcased to many that this league is healthy with enormous potential. The season may be over, but many positives launched the NPL NSW Men’s competition this season with an increase in promotion across all media streams as well as the healthy Live Stream numbers that took shape on a weekly basis. Who said this competition was not up to scratch? The potential is enormous and will only get better as years go by – here’s to an even bigger 2019 NPL NSW Men’s season.